Since my early childhood I got piano and keyboard lessons and started to produce music at the age of 13 years. Between 1993 and 2014 I produced countless songs for numerous artists from different genres. 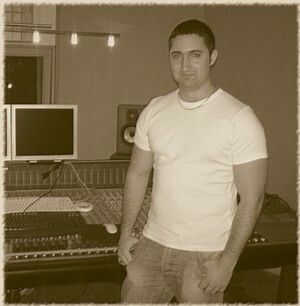 From about 2002 I started with the mastering of songs. From 2009 I also offered my services online to reach a larger audience. To date I have mastered several thousand songs. Since 2014 I have specialized in mastering, which is now my main musical profession. If you want to convince yourself of my work, just send me one of your songs via the contact form. I like to create a free audio sample. Do you have any idea what the song should sound like in the end? Are there commercial productions that should serve as reference? You are welcome to call me the title.